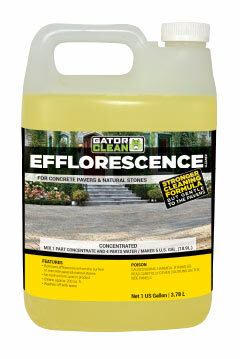 Gator Efflorescence Cleaner will remove any efflorescence stains trapped in the concrete pavers and natural stone pores. 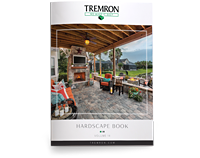 It will make the pavers look more clean and vibrant without discoloring or damaging the paver surface. This efflorescence cleaning is a necessary step before a sealer is applied. The sealer will be able to get a deeper penetration into the now-clean pores. Gator Clean XP Oil and Grease Remover easily removes tough stains such as motor oil, cooking oil & grease. Just shake the bottle, spread it on the stain, let it dry, and sweep it up. Use it on concrete, brick and stone. 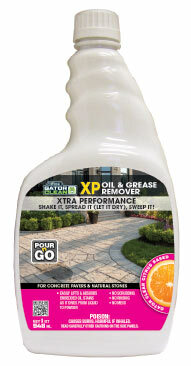 Gator Clean XP Oil and Grease Remover is biodegradable and phosphate-free. Shake it, Spread it (let it dry), Sweep it! 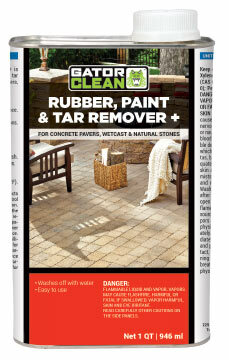 Gator Clean Rubber, Paint and Tar Remover is effective in removing rubber, paint and tar from the surface of concrete pavers and natural stones. Furthermore, it could be used to emulsify some sealers and could be used as a cleaning agent when using a bonding agent such as Gator Rock Bond. 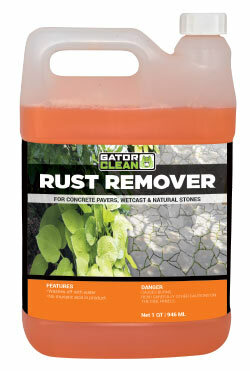 Gator Sealer Stripper is extremely effective for removing sealer from concrete paver or stone. It is a paste, it is easily applied with a brush, or roller. 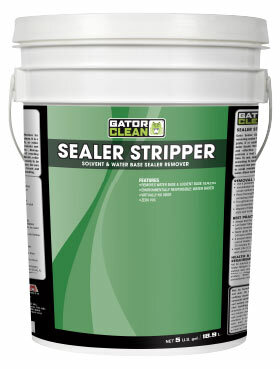 Gator Sealer Stripper is formulated to remain wet and effective over extended periods. Always preform a test area to determine exact reacting time. To use, apply to surfaces with a brush, roller according to test patch results. Once is ready to be removed use power washer to strip surface. Be sure to scrub remaining residue with nylon brush and water. Allow surfaces to air dry before resealing.